While raccoons were initially forest-dwelling animals, the increased invasion of human settlements into their territory brought them close to our species, and then, it was their turn to turn into invaders! Raccoons, in their quest for food, realized that plundering the properties of human beings was one of the easiest ways to get some easy meals. Soon enough, their intrusive ways turned out to be a problem and now, raccoons are considered pests who not only intrude upon our spaces in search of food, but even find hidden spaces in our homes and turn them into their own living quarters. However, while the idea of animals living in close proximity to humans isn’t all that new to us, the dangers that raccoons are real and threatening, and for several reasons, we need to ensure that raccoons stay away from us. Getting rid of raccoons near your home begins with one major step, and that is to keep every edible item at bay from these masked marauders. The list is a long one of course, since raccoons are probably the most omnivorous creatures around and therefore eat just about everything. 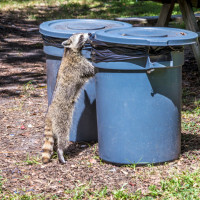 However, simple steps like keeping your property free of waste, using garbage bins with lids that lock properly, and using deterrents to discourage raccoons from entering your property in search of food helps tackle this issue. 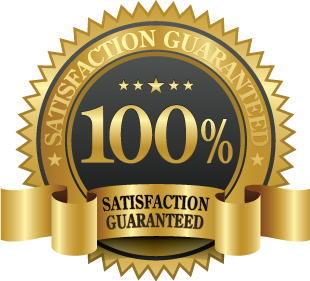 Of course, if the trespassing is serious, hiring the services of raccoon removal professionals is the best way to get rid of raccoons near your home.